Build a catapult, experiment with how far it can project, and discuss the forces acting as it works, including gravity. Prepare the foam frames in advance. Students each build a simple catapult. (Stretch the elastic band over the arms of the foam core. Use the piece of stick to twist up the rubber band, then slide the spoon in, orienting it so that it acts as the arm of the catapult). While staying behind a line, fire balls of tin foil, and record how far they go. After some time, ask what students did to make the balls go the furthest. 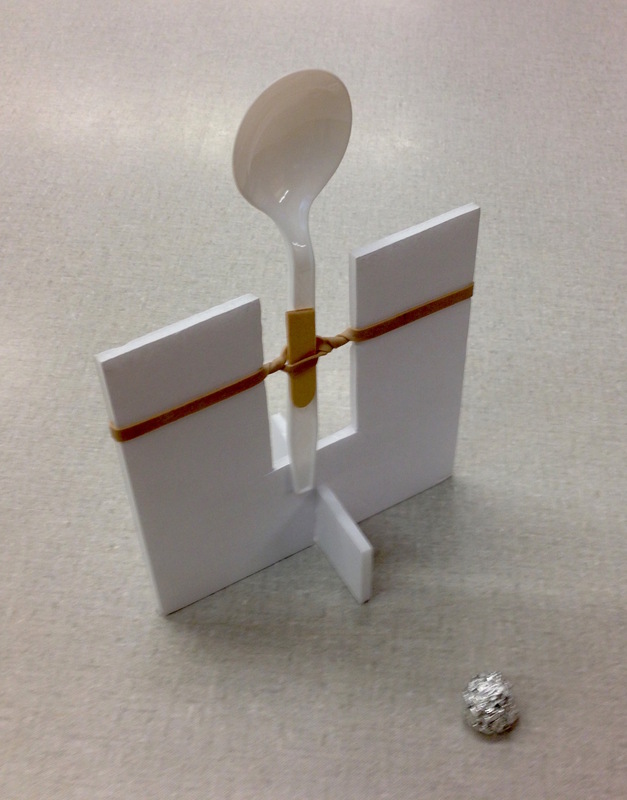 (Direction of the force, strength of the force by pulling the spoon back more or less, weight/size of the object being fired, strength of the force by twisting the rubber band more or less). Then more time to try out other students’ suggestions. Ask them to think about the forces on the paper ball. 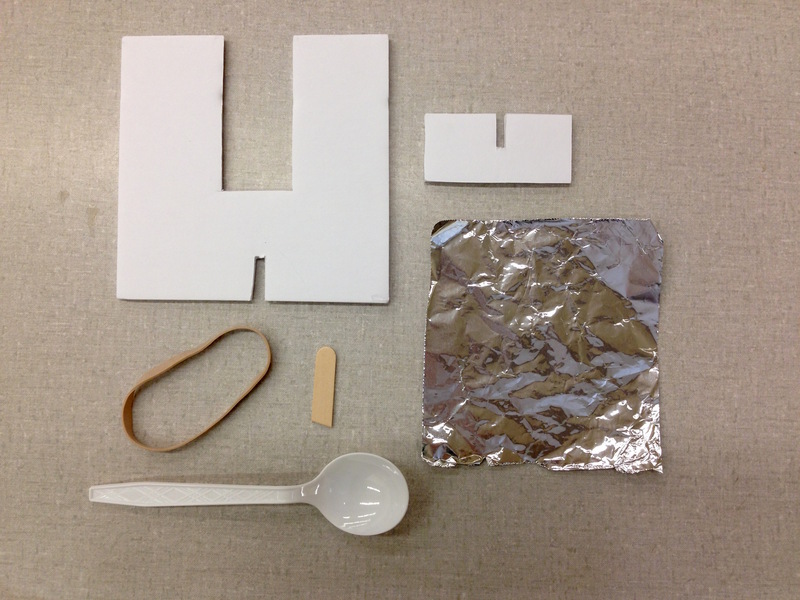 Discussion on the forces involved in each stage of the catapult firing (force from hand to pull back the spoon, force in the elastic band (potential energy), force as the elastic band unwinds and moves the spoon, force of the spoon on the foil ball, gravity pulling the foil ball to the ground). There is a chain of forces. Students can measure and record on a graph how far their ammuntion goes. It is called a torsion catapult. (In the twisted band - a twising force is called torsion). Cardboard from a thick box collapses at the bottom of the U after a couple of tries. Stick with foam core or test your cardboard well first. The U shape is a lot of prep for a whole class, but the simple build is good for younger students. Mme Romy's class had to figure out how to put the catapult together, before using it to fire.